Wayne Rooney’s 13-year love affair with Manchester United might end as early as February 2017. The veteran striker is now considering a move to China, according to The Times. This 2016/17 campaign has seen Rooney’s Old Trafford future in serious doubt with several transfer rumours, but a conclusion to all the speculation may come in the next four weeks, as Rooney is said to be pondering over a move to the Chinese Super League. It’s believed that the United skipper has informed his friends that he wants to leave in the summer. However, with the Chinese transfer window still open until February 28, The Times suggests there is a strong possibility for United’s all-time top goalscorer to make a move for the Far East. The January transfer window shuts down in England at 11pm on Tuesday, but United would still be allowed to offload Rooney after February 1 if clubs in China submit suitable offers for his services. Chinese city rivals Shanghai Shenhua and Shanghai SIPG, as well as Beijing Guoan, are reported to be leading the race to land Rooney, and are ready to pay the forward his current salary of £300k-a-week to tempt him away from England. 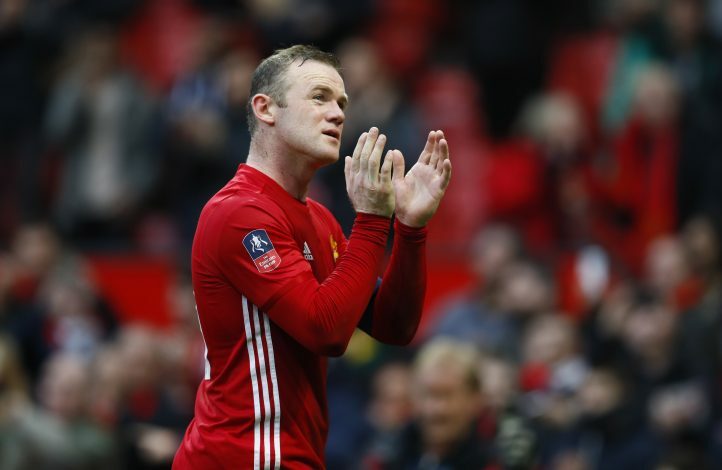 One destination Rooney doesn’t think about is a return to former club Everton. Blues boss Ronald Koeman is said to be excited to bring back the boyhood Toffees fan back to Goodison Park. Rooney has struggled for regular first-team football under Jose Mourinho this season, as the 31-year-old’s declining form and fitness raised doubts when the former Chelsea boss took charge. However, he has featured more regularly over the past few weeks, and surpassed Sir Bobby Charlton as the club’s greatest goalscorer after he scored his 250th goal in the 1-1 draw with Stoke City on January 21.